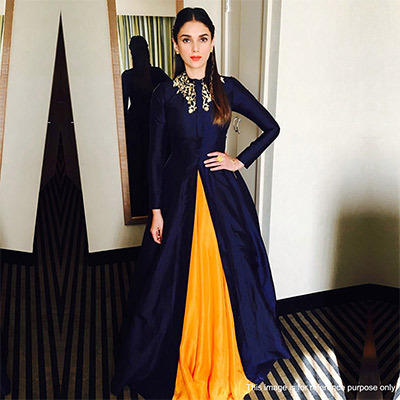 Be The Party Bee Adorning This Slit Cut Navy Blue Long Anarkali Made Of Banglori Silk Fabric. Comes with A Yellow Bottom. Dupatta is not included. Length Waist upto 40 -42 inches and length upto 40 - 42 inches. Length Chest upto 40 - 42 inches and length upto 52 - 56 inches.